Our mission is to support and provide education and fun meetings for people interested in beekeeping and related activities . Generally we meet on the second Thursday evening of each month at 7.00pm and on the last Sunday of each month 10am at the Beegarden at Sutherland. You would be most welcome to attend a club meeting or do some work with some beehives on a field day. The club has wonderful facilities including a club room, club store, apiary site and honey extracting room at Sutherland. We provide lectures for school groups and others about bees and beekeeping. Want to get started in bees and don’t know who to turn to, what equipment to buy, where to get bees from or just want to find out if bees are for you, you have come to the right place joining the club will give you access to apiary equipment and the expertise of experienced beekeepers. It will also provide you with low cost third party insurance for beekeeping activities. Click the Play button below to see a short video of what typically happens on a field day. 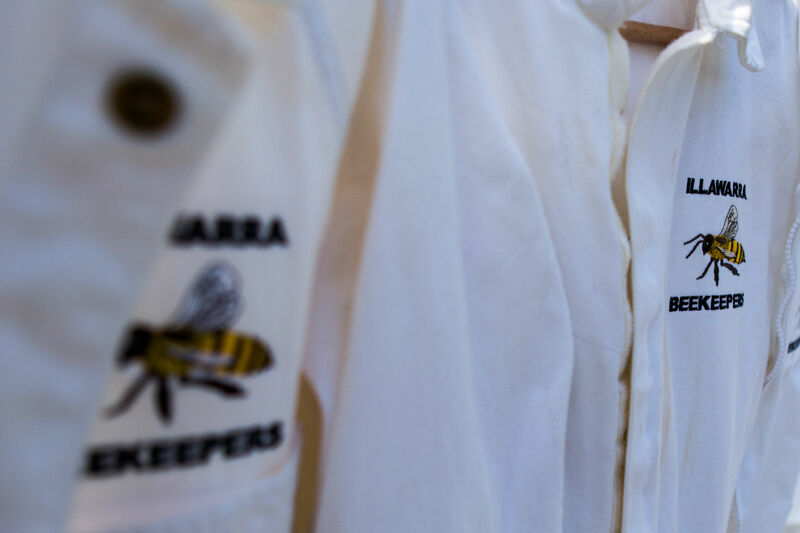 We are the Illawarra branch of the Amateur Beekeepers Assoc. of NSW and welcome members and friends. We have many members in our club with decades of experience willing to share it with fellow members. As a member, you will benefit from the knowledge of fellow members through presentations at our regular monthly meeting, practical hands-on experience on monthly field days in our apiary along with the opportunity to attend regular beginners and advanced beekeeping courses held through the year. both in general discussion and in supportive, practical experience when inspection the club’s beehives, and take part in activities such as extracting honey, re-queening and inspecting a hive. The club has a number of beekeeping related books in our library that can be borrowed by members. Our club offers members a chance to order queens from tried and tested breeders.